Don’t miss out on some of the freshest goods in town! 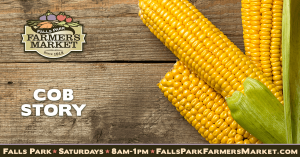 Make Falls Park Farmers Market your go-to place for fresh coffee, local flowers and great food. Stop on by this Saturday from 8:00 A.M. to 1:00 P.M!